An injury or illness can significantly restrict a person's physical function, independence and capacity to lead an active lifestyle. At South Carleton Physiotherapy we are committed to helping you put function, fitness and performance back into your life. Physiotherapy treatments can help to increase joint mobility and range of motion, decrease/manage pain, build strength, enhance coordination and improve cardiovascular and resiratory functioning. Our treatment goals are aimed at obtaining these outcomes and helping clients get back to their optimal level of health and functioning. 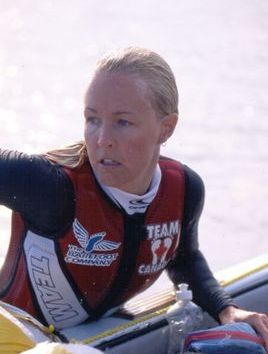 Hall-Bourne is a registered physiotherapist, a member of the Canadian Physiotherapy Association, and has been practicing in the field since 1996. In addition to her physiotherapy degree from the University of Toronto and 4 years of Kinesiology studies at the University of Ottawa, she has practiced both in the United States and Canada. Kim has extensive experience in providing thorough assessments and effective, individualized treatment to clients with a variety of orthopaedic conditions. A long-time resident of the South Carleton area, Kim takes pride in offering personal service and working with clients to ensure that they regain function and recover to the fullest extent possible.